When we started building Thum.io, we set out to build the best website screenshot generator out there. We wanted to build on top of existing tools, but also wanted to make sure we would produce the highest quality thumbnails. 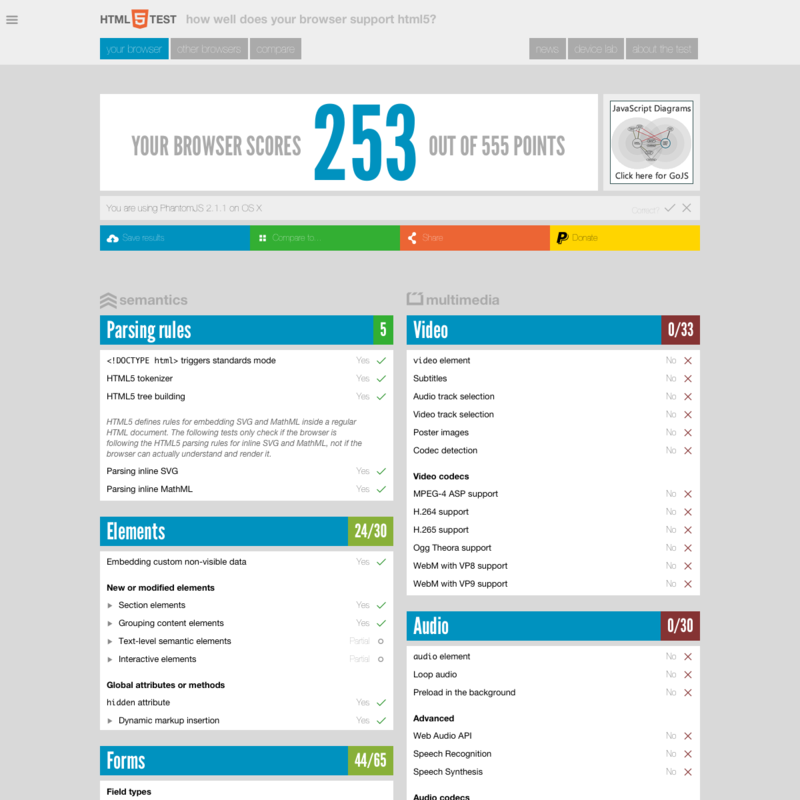 As you can see, the page looks ok, but 253 can hardly be considered a good browser scrore. So PhantomJS wasn't going to work for us. Selenium is a well known Web Automation framework and it has the ability to take screenshots. The nice thing about Selenium is that it uses an actual browser render pages, so the website snapshot is going to look exactly as it would on a desktop computer. One thing Selenium doesn't seem to be designed for is long-lived server environments. Selenium was originally designed for running test-cases, where you spin up a Selenium server, run a bunch of tests, and then spin down the server. We are using selenium instances that run for days or even weeks at a time so we very quickly uncovered some issues with long running servers. The good news is that our fixes are now a part of selenium. As you can see, our browser score is 444. We hope this overview helps people understand our technology, but technology is never enough to build great products. That's why we take supporting our users very seriously. If you have any questions or comments, email support@thum.io.